Genesis 1:24-25 (KJB) 24 And God said, Let the earth bring forth the living creature after his kind, cattle, and creeping thing, and beast of the earth after his kind: and it was so. 25 And God made the beast of the earth after his kind, and cattle after their kind, and every thing that creepeth upon the earth after his kind: and God saw that it was good. Genesis 1:24-25 (NIV) 24 And God said, “Let the land produce living creatures according to their kinds: the livestock, the creatures that move along the ground, and the wild animals, each according to its kind.” And it was so. 25 God made the wild animals according to their kinds, the livestock according to their kinds, and all the creatures that move along the ground according to their kinds. And God saw that it was good. Genesis 1:24-25 (NRSV) 24 And God said, “Let the earth bring forth living creatures of every kind: cattle and creeping things and wild animals of the earth of every kind.” And it was so. 25 God made the wild animals of the earth of every kind, and the cattle of every kind, and everything that creeps upon the ground of every kind. And God saw that it was good. Genesis 1:24-25 (ESV) 24 And God said, “Let the earth bring forth living creatures according to their kinds—livestock and creeping things and beasts of the earth according to their kinds.” And it was so. 25 And God made the beasts of the earth according to their kinds and the livestock according to their kinds, and everything that creeps on the ground according to its kind. And God saw that it was good. Notice how the modern versions repeatedly use the plural THEIR kinds and EVERY kind, whereas the KJB uses the singular HIS kind. That gives the modern version more wiggle room to allow different kinds and thus be preferable to evolutionists. The lone exception in the KJB is their kinds for CATTLE. That’s because cattle is not referring to one kind of animal. 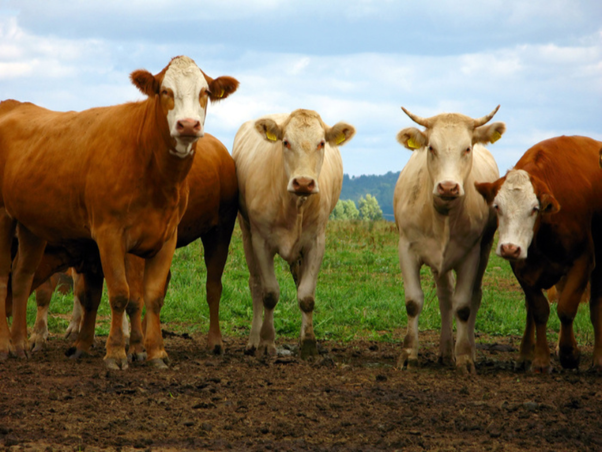 Cattle refers to all domesticated farm animals, cows, sheep, goats, and the rest. What we know today as cows are called KINE in the Bible. So cattle is the one place it is proper to use plural “their kind”, because cattle include multiple kinds. Evolutionists would get much more mileage out of the modern versions.